Having been trained as a church musician through college and seminary, it was ingrained in me that the Lord deserves our best offering. Nothing to argue with there, right? However, in an hour and a half rehearsal, I found myself focusing 90% of my energy on music education, proper singing technique, vowel sounds and breathing. Very little time was spent on prayer and worship. 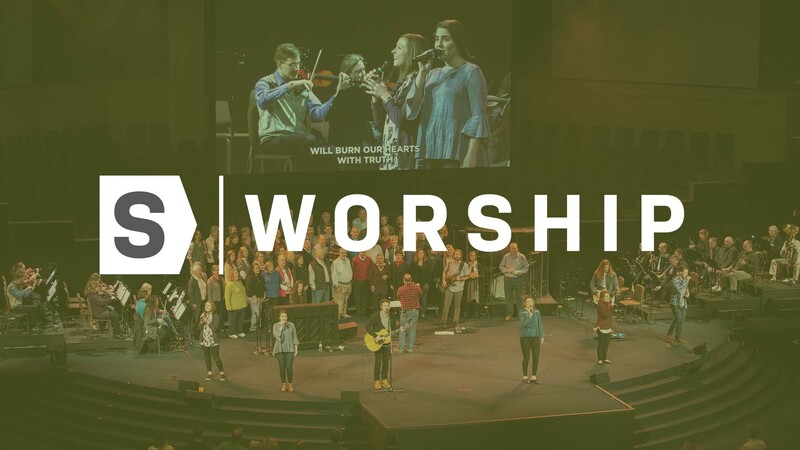 It wasn’t until coming to Shandon actually that I had the epiphany of realizing that as worship leaders, we actually need to be lead worshipers! By that I mean that accurately performed music (notes, rhythm and words) is an important goal but not nearly the most important goal! The most important goal is that we as leadership meet Jesus in worship and as a result we will help the congregation experience the power and presence of Jesus as well. I think every believer has had those moments in worship where they were overcome by the presence of God. It may have taken you by surprise or it may have been when God reached into your heart to a place where you were hurting and you needed a touch from Him. I think that as worshipers, which we all should be, we have the opportunity of entering into the presence of God in corporate worship like no other opportunity allows. Locking hearts with those around you in a song of praise to the One who saved you and has prepared a place for you in Heaven . . . that is an extraordinary moment! For us to come to worship and experience anything less is a missed opportunity. Lastly, we are fortunate to be part of a church that offers two worship styles done extremely well. If you are part of the 9:00 service you will find 120+ Lead Worshipers experiencing the presence of God in corporate worship. The musicality is “off the charts” good, and the spirit of worship is undeniable. If you attend our 10:30 service you will find one of the finest bands and singers in the area. The music is a collection of anointed songs sung and played by musicians that know Jesus personally and want desperately to bring you along on the journey of worship. I think it is safe to say that God does not have a preferred musical style, and that a church needs to identify the primary musical language of that church and become fluent in that language. I can’t speak for God, but what I understand scripture to say is that God loves worship but He loves the worshiper far greater! As you come this Sunday, will you pray for God to meet us in worship? To take off the spectator hat and put on the hat of participant? I hope so, because I’m convinced without a shadow of a doubt that He wants to meet us here! I can’t wait for Sunday!